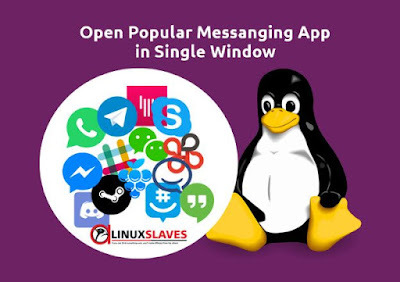 Perfect tool to manage multiple business and private accounts ( WhatsApp, Skype, Telegram, Messenger and others ) at the same time - Ever wonder how to open messaging application (mobile: android/ios/pc) in one window? Then you're at the right place! Today post will tell you an application that can be answer of the first paragraph question. We'll using the app named Franz. Before this post, we ever publish an article about how to open facebook messenger on Linux. 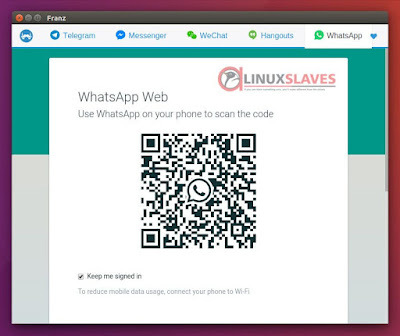 You can read at Facebook Messenger for PC Linux Operating System. 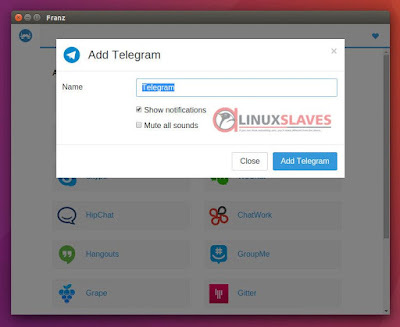 Franz is a free messaging app / former Emperor of Austria and combines chat & messaging services into one application. This application allows you to add each service many times. You could even use five different Facebook Messenger accounts at once, if some inexplicable reason urges you to do so. 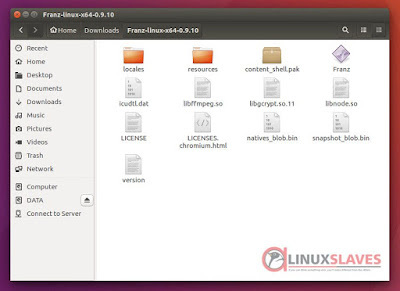 Step 1 - Download correct version for your operating system system ( 32-bit or 64-bit ). The link available at the last line of this post. Step 2 - The package compressed in .tgz, so you must extract it for first. 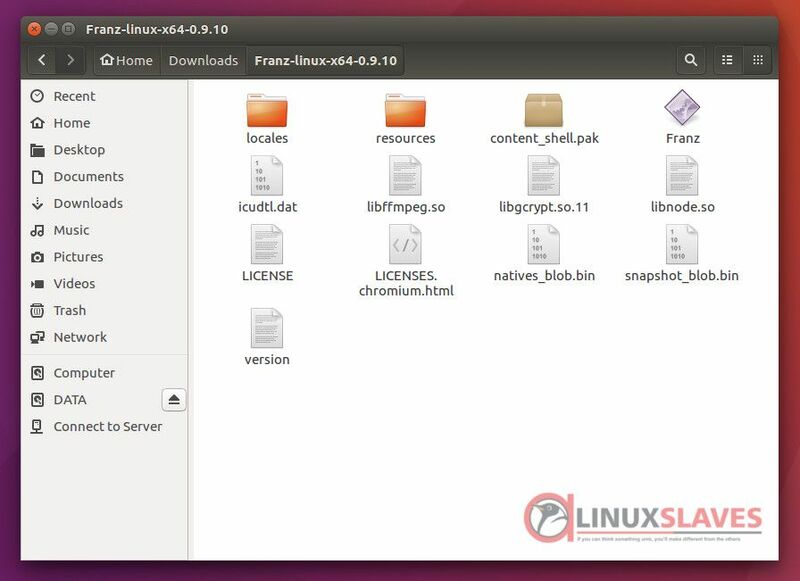 Open Franz-linux folder, then Double click on Franz to launch run the app. Step 3 - Franz will automatically running. 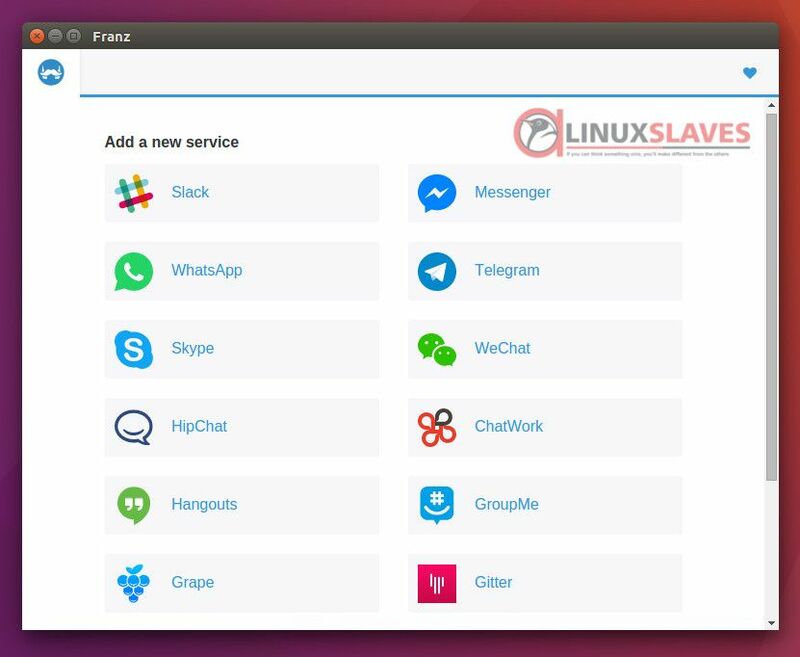 The main window will list supported service. 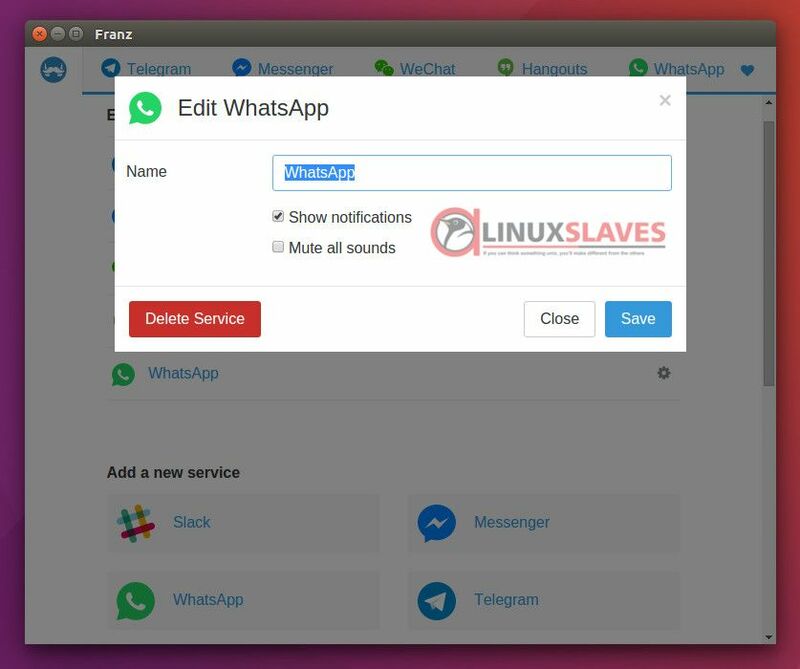 Step 4 - Click which service you want to use. Just click at the service icon, give the "Name" and choose "Add ( services app )". Once added, all running service will display at the top of the window and the main window. Step 5 - Now you can login with your account. Need to stop the running service? Yes you can! Just click the "Gear" icon at the main window then hit "Delete Service". This also automatically close the opened service tab. 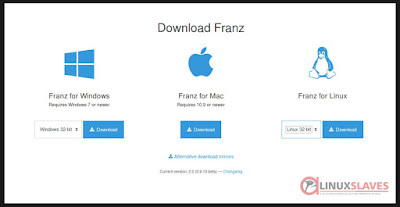 The Franz developers say "Franz does not read anything you type, send or receive. That's between you and your messenger service. His only interest is to successfully deliver your messages. No nosing – all hail postal secrecy!" 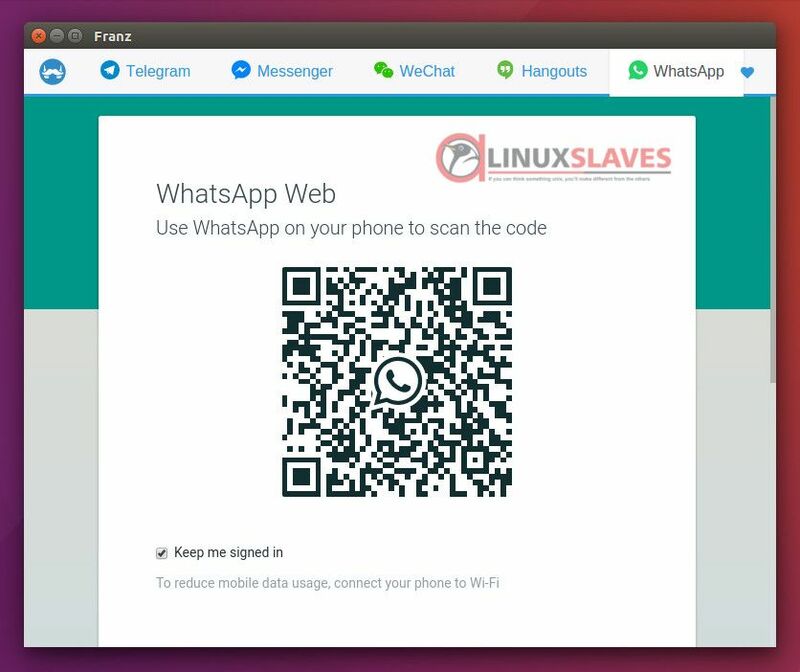 So that's all I can write about Franz, allows you to open popular messaging service such as WhatsApp, Slack, Messenger, Hangouts, Telegram, etc in single window without emulator, also browser ( firefox, google chrome, chromium ). Hope you've enjoyed reading this tutorial as much I’ve enjoyed writing it and thanks for visiting us.